Wearing a heart rate monitor is one of the best methods to track and improve your fitness progress. 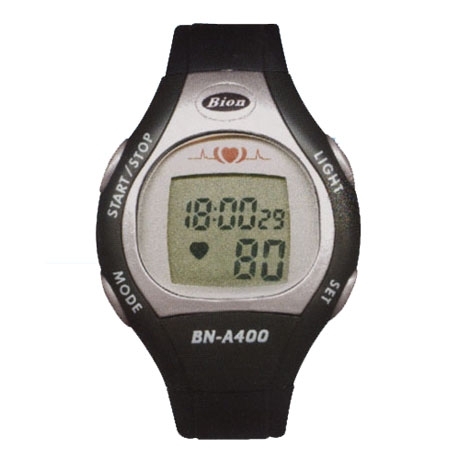 The Bion heart rate monitor can also be used to easily check your resting heart rate and set the most accurate target training zone. You will be able to keep an eye on your intensity for a more efficient workout as well as increase your motivation as your monitor reminds you to pick up the pace, and ensure your safety when it lets you know when you are working too hard. Get a monitor and gauge your exercise intensity for a more efficient and motivating workout.